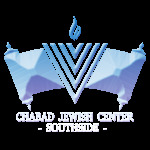 Chabad of Peachtree City, on Atlanta's Southside, was established in 2011 by Rabbi Yossi and Shternie Lew, under the auspices of Chabad of Georgia, a subsidiary of the international Merkos L'inyonei Chinuch, Chabad's worldwide outreach branch. Rabbi & Mrs. Lew, emissaries of the Lubavitcher Rebbe to Atlanta since 1993, chose to relocate and serve the Peachtree City area due to the number of Jews who lived there, and there was no Jewish infrastructure or representative in the entire Peachtree City. Chabad's goal is to establish a Jewish nerve center in Peachtree City, which will serve the entire Southside. At Chabad, everyone, from every walk of life, from every type, color, creed, or faith, is made to feel welcome and at home. This is our hallmark based on the guidance and teachings of the Rebbe of righteous memory. We offer regular and spirited Shabbos services, holiday awareness programs, classes, adult education, Hebrew school for children, hospital visitation, life-cycle events, one-on-one guidance, and Judaism with fun & a warm welcoming smile. While there are no fees to pray with Chabad, our not-for-profit, tax exempt operation exists solely upon the generosity of donors who continue to share their kindness with us.